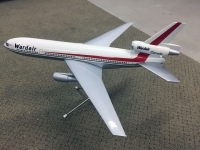 1/100 Wardair DC-10 by Space Models. Not supplied with stand. Open to offers. 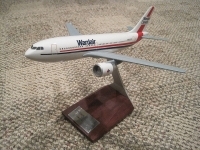 This nice model belongs to my friend Mike. Both models belongs to my friend Mike. 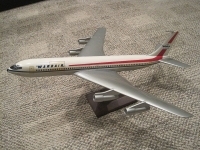 They are both Space Models early 1980s, but of beautiful workmanship. I would say nicer than Pacmin. 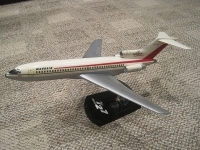 This nice model belongs to my friend Mike. Left wing is damaged and needs major repairs. 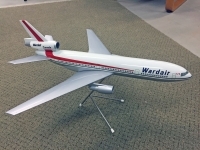 Most accurate B707 model in this scale I have ever seen.